Egypt is a bright and colourful country with vibrant people and a happy spirit. Throughout Egypt, all regions have celebrations for the Christmas and New Year season. 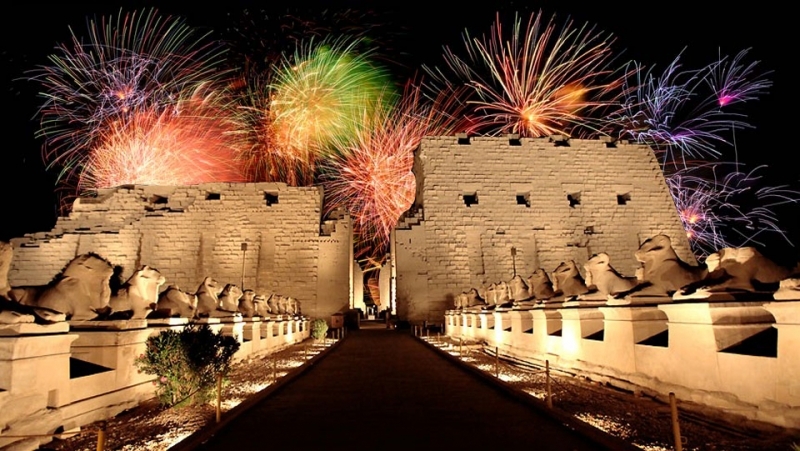 Fireworks, special events and organised activities are laid on for the tourists visiting to ensure a memorable festive season in Egypt. 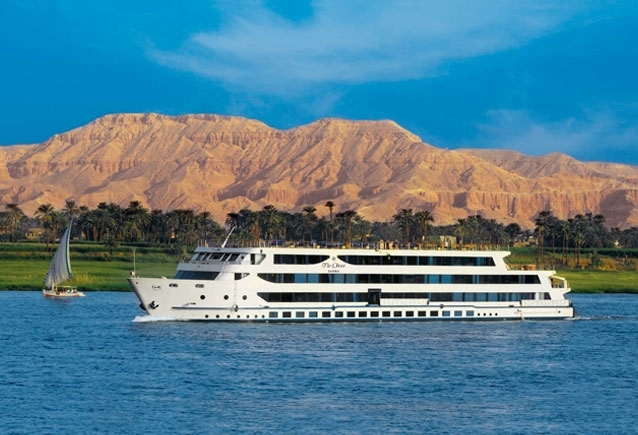 Nile Cruises specialise in festivities onboard with lavish food laid on with a festive theme and elegant food displays by the Chefs. Included are also wonderful Christmas and New year parties whilst sailing with fancy dress, local entertainment, games and music. Cabins are often treated to a fancy display by the Housekeepers as a surprise to the guests ! Even whilst sailing, on the top deck of the Nile Cruises, you can often see colourful street scenes of the local people and events at the passing Temples enroute having special activities over the Christmas and New Year period. Hotels Over the festive Season throughout Egypt including Cairo, Luxor, Aswan, Hurghada and Sharm El Sheikh, are adorned with decorations such as Christmas trees, baubles and lights with specialised festive buffets laid on with local entertainment such as belly Dancers, traditional Nubian dancers and musicians, Bedouin traditional music and costumes and discos for partying the night away. Often, the Pyramids and Temples put on special light shows and dancers to welcome you to the festivities over this seasonal time of year. Anywhere you choose to stay during your holiday in Egypt, you will be witness to celebrations for the Christmas and New Year season. Egyptians appreciate that for holidaymakers, Christmas in their own countries is an important time in their yearly calendar. Therefore they are happy to join in with the celebrations even if it is not usually part of their custom and culture. Whilst Egypt is predominantly a Muslim country, there is a large percentage of Christians known as ‘Copts’, which is the Egyptian name for Christians. The Coptic Christians celebrate Christmas as do all Christians around the world. However, there New Year is celebrated later on the 7th January according to their Coptic calendar. 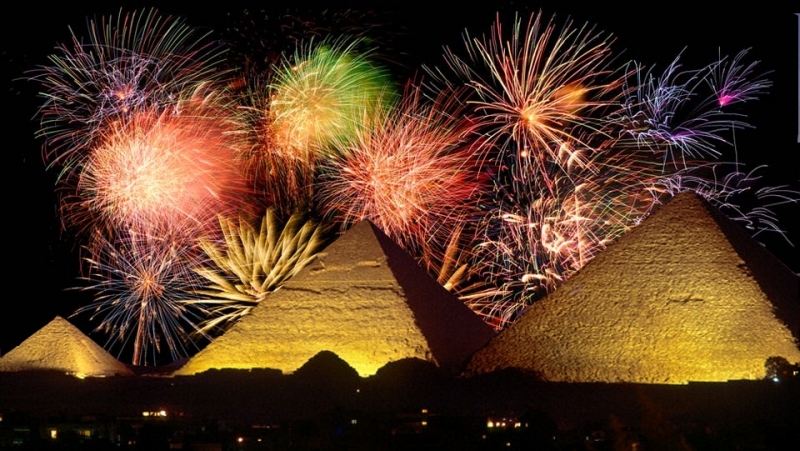 All Muslim Egyptians celebrate New Year on the eve of the old one and into the New Year with fireworks, parties and family gatherings.